traffic collisions. 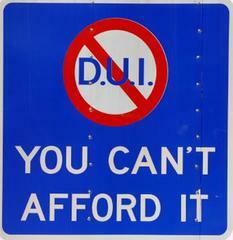 The checkpoint will educate the community to use designated drivers andnot drink and drive. Our message is simple: If we catch you drunk, you will be arrested. It is the Los Angeles Police Department's goal to continue providing public awareness on the dangers of drinking and driving, and the laws concerning driving without a valid driver's license. Motorists approaching a checkpoint will observe traffic signs, information and police officers advising that a checkpoint is ahead. Once diverted into a lane, each motorist will be detained momentarily while an officer explains the purpose of the checkpoint. Funding for this checkpoint is provided by the California Office of Traffic Safety through the National Highway Traffic Safety Administration. We can all help make our streets safer, please report Drunk Drivers – Call 911. Contact: For further information, please contact Officer Don Inman, Traffic Coordination Section, at (213) 486-0703.